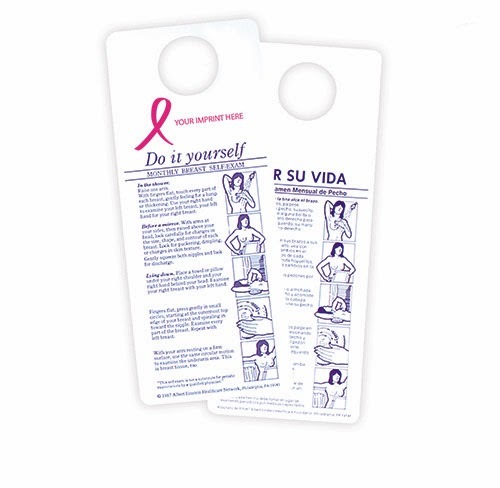 IN recognition of October as National Breast Cancer Awareness Month, serial and serious networkers can distribute another type of “business card.” That is, the Breast Self-Exam Card. 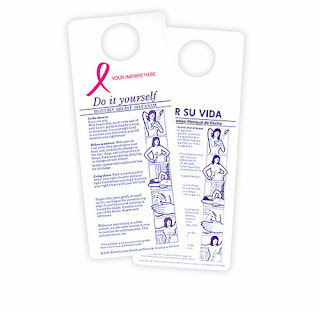 Approximately 3” x 8,” the card is waterproof and has breast exam instructions in English or Spanish. (http://www.bit.ly/19LqG8U). The card also bears the trademark pink ribbon that signifies support of breast cancer eradication. Visit http://www.nbcam.org/ to learn about various National Breast Cancer Awareness programs and events.